Ooooo! This is my favorite so far!! Hey, I have a few pieces of furniture in my house that I would like to have explode. What a great idea! I do like this one a lot, but puddle man is my favorite of the ones we've had. My woodworking husband would/wood love this. 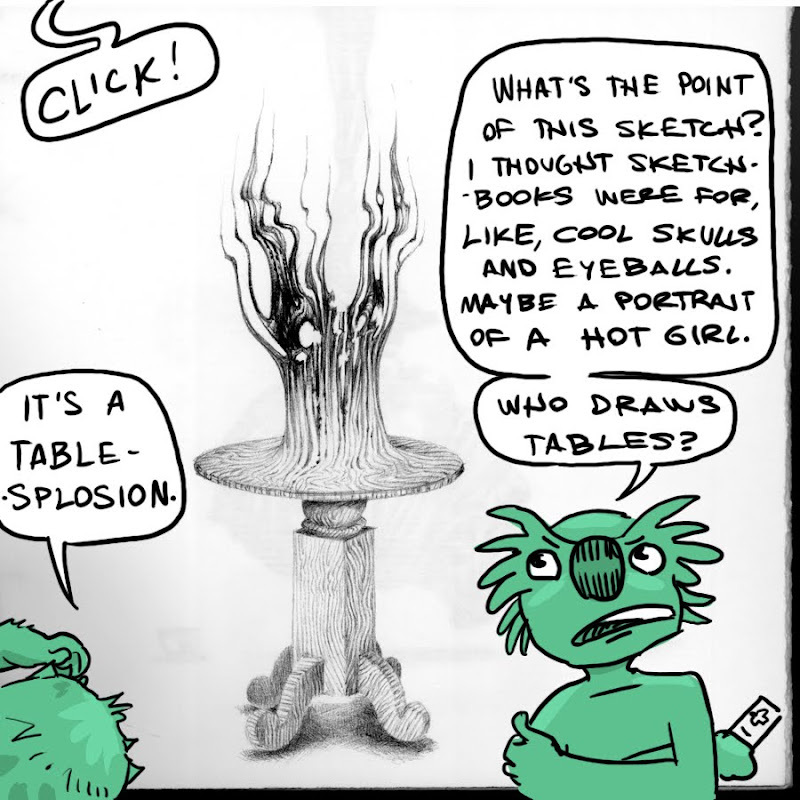 Nathan Hale draws tables, and they're awesome. I really like this, too. To me it looks almost like the ghost of the tree it was is rising up out of the table. I just looked at this again and so the smoke coming out of the middle-cool!